November 19, 2010  More than 10,000 police officers, construction workers and firefighters have agreed to settle a lawsuit over exposure to toxic dust at ground zero in New York City. They were offered a pool of $625 million to settle health claims related to the cleanup after the Sept. 11, 2001, attacks and a deadline to accept the deal. Supervillains Gather, Dare To Ask The Question: Is James Bond Dead? November 19, 2010  At a recent meeting of supervillains, the possible demise of James Bond at the hands of Hollywood financing problems was front and center. November 9, 2010  If you could talk to the dead, would you want to? That's the question explored in the new off-Broadway production Play Dead. It was directed by the magician Teller -- of the duo Penn and Teller -- as an homage to the old magic seance shows. On the stage, performer Todd Robbins raises the dead, plays tricks on the audience, and generally scares the wits out of anyone who shows up. November 3, 2010  Republican Senate candidate Linda McMahon, the former CEO of World Wrestling Entertainment, spent close to $50 million on her campaign. Then she lost to state Attorney General Richard Blumenthal -- but not before blowing one last wad of cash on a big party. October 30, 2010  Harry Houdini was known for escaping from handcuffs, straitjackets and water tanks, but his greatest trick was escaping from the dustbin of history. 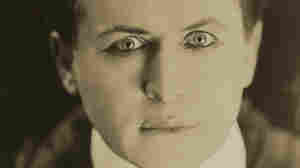 A new exhibit at the Jewish Museum in New York asks how Houdini's fame managed to survive. October 25, 2010  The liberal group MoveOn.org is launching ads in 28 different races. The group, a major force in 2006 and 2008, has been flying under the radar this election cycle. MoveOn says it has been concentrating its money on talking about money. October 21, 2010  Bob Guccione, founder of Penthouse magazine, has died at age 79. October 19, 2010  With all seven candidates meeting in the only scheduled debate of the state's contentious governor's race, people expected a circus. But it ended up being more of a sideshow, with each candidate performing his or her own unique act. October 15, 2010  The Connecticut Senate race has been dominated in the final few weeks by an argument about pro-wrestling. October 1, 2010  The Republican candidate for governor of New York almost came to blows with a reporter this week. Carl Paladino got in the tussle after objecting to the way a newspaper had covered his personal life. That incident is the latest in a race that has turned ugly and personal. The atmosphere has even rattled front-runner Democrat Andrew Cuomo. September 25, 2010  Smokers in New York City have already been chased out of bars, offices and restaurants. Now, the city wants to ban smoking in outdoor public spaces like parks and beaches. The ban would affect some of the most crowded pedestrian spaces in the world, like Times Square. 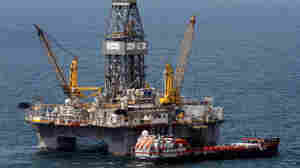 BP Close To Final Seal Of Ruptured Oil Well. Yawn. September 18, 2010  For the first 100 days of the disaster, almost a third of TV news coverage was devoted to the oil spill. Last week, stories from the Gulf made up only about 2 percent of the news. Even the permanent sealing of the well has been treated as an afterthought by the news media.